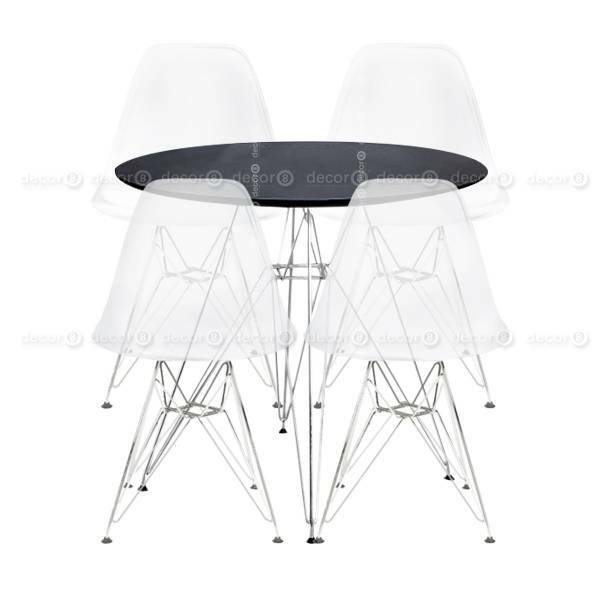 The dining room set presented here features one Eiffel Round Black Dining Table and four Eiffel Dsr Transparent Black Dining Chairs. All dining sets require a fabrication lead time of approximately 2-3 weeks. For rush orders please contact us at info@decor8.com.hk.